I signed up for their free did and used it for over a year before i eventually signed up for their paid service. Great quality and good value. Customer service is USA based and willing to work with me (even as a free subscriber). Pros: Great Quality Great Price. Started out with the 30-Day free trial, and kept the service. The customer service is great, as well as sound quality. I would highly recommend it. I was a little worried when I changed over from landline service to VOIP, but IPComms has taken away any doubt I would had about VOIP calling. 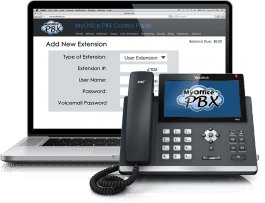 IPComms’ SIP Trunking connects users IP PBX to their network, which allows users their voice and data over their existing broadband connection. In supplying SIP Trunking services, IPComms is able to produce Business Plans, Call Center Plans, IP800 Toll Free Service, SIP Outbound (Outbound call plan, Wholesale Termination, and add-ons (unlimited inbound lines, DID numbers, Canada Local number, International Phone number, USA Toll Free numbers, Route Calls to US number, as well as one-time add-ons like vanity toll free number and Local Number Porting. In addition to all SIP Trunking features/functions, IPComm also SIP softphones (available for Windows PC, iPod/iPad/iTouch, and Android devices). Customer Support is also expansive as users have various options including phone support, chat, 24 hour emergency support, support ticket, FAQs, a glossary, a list of supported devices, device setup assistance, and more. IPComms’ pricing is standard, starting around $9.99-$24.99 per month per line, plus additional pricing for any other services/features added. What Do You Think of IP Comms?